Hide your children, lock your doors, and load your guns because zombies are real and they are coming. Danny Terrence knows this better than anyone. He spent months preparing for the inevitable moment the disease would reach his small town. What he didnâ€™t prepare for is the fact that nobody really believes him. Luckily for him, an old classmate and bully just happens to be the first one bitten. The bad news is that the family with the biggest arsenal of guns just packed up and left town, leaving them defenseless from an oncoming zombie horde. Being a leader isnâ€™t turning out the way Danny imagined. Follow these five people as their paths cross and their lives and hopes are challenged in this thrilling novel. 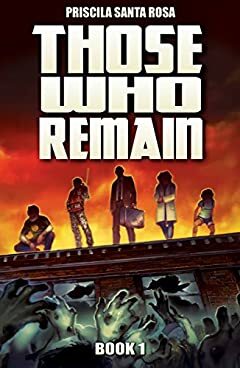 Those Who Remain: Book One is part of a trilogy.